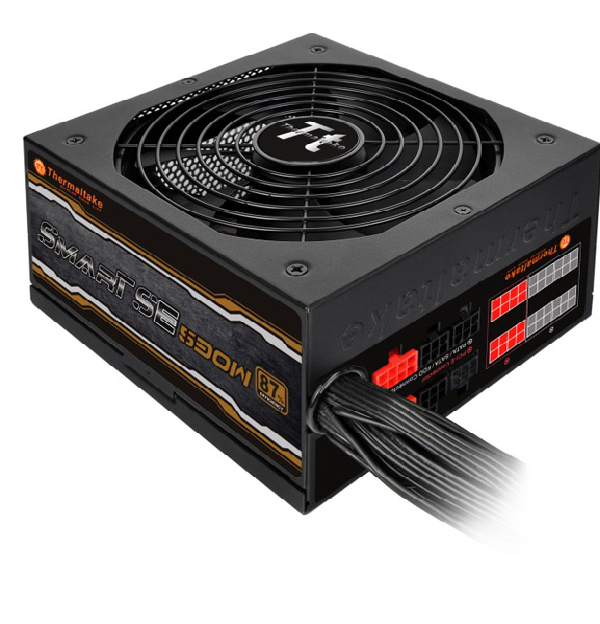 The latest presentation from Thermaltake in the essence of mainstream systems – the SMART SE Series PSU. A performance series of power supply units (PSU) that incorporated various PSU high-tech components, leading technology and Eco-friendly credentials, ranged between 530 to 730W with semi-modular that will accommodate any mainstream build under any circumstance. It is ideal for users to build a home or office system for 24/7 stable demands. Deliver up to 87% efficiency at 20-100% load under real world load conditions to cut down electric cost and promise lowest power losses. Saving the unnecessary waste of energy and environmental protection. All low-profile flat modular cables that not only increased the airflow and made chassis thermal performance improved, but also allow for effortless cable routing. Customizing concept of Smart SE 530/630/730W enables user to maximize available power and make set-up easy. It is a semi-modular power supply that offered cable selection for users while powering system at a healthy voltage. High quality main capacitor produces supreme performance with low impedance characteristics. The stable operation works for longer time with excellent reliability to enhance the power supply performance. Large 140mm cooling fan, built-in with intelligent temperature control device can automatically detect the power load for fan speed adjustment and maintain optimal mute performance. Keep updated with news about events, tournaments and other eSports related activities, submit your details below and you will be the first to know. Copyright © 2015 All Rights Reserved - ASKK Trading Ltd.